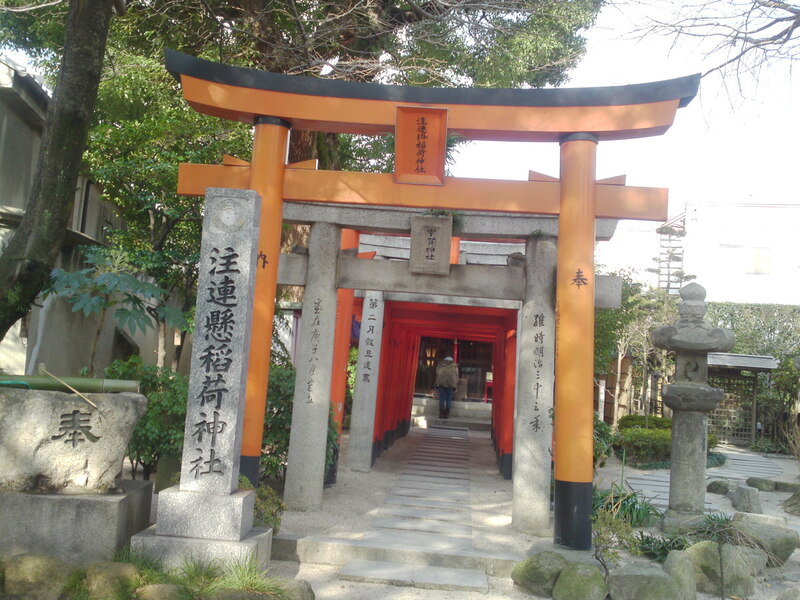 When In Fukuoka City for the first time, being religious-minded or not a site not to be missed is Kushida shinto Shrine/Kushida Shrine/櫛田神社, a Shinto shrine located in Hakata-ku. 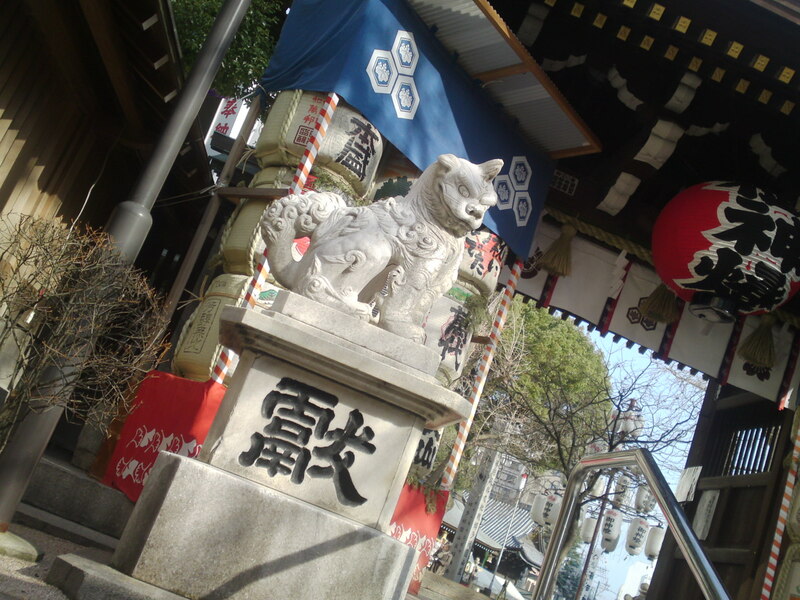 Dedicated to the deities Amaterasu and Susanoo, it is said to have been founded in 757. 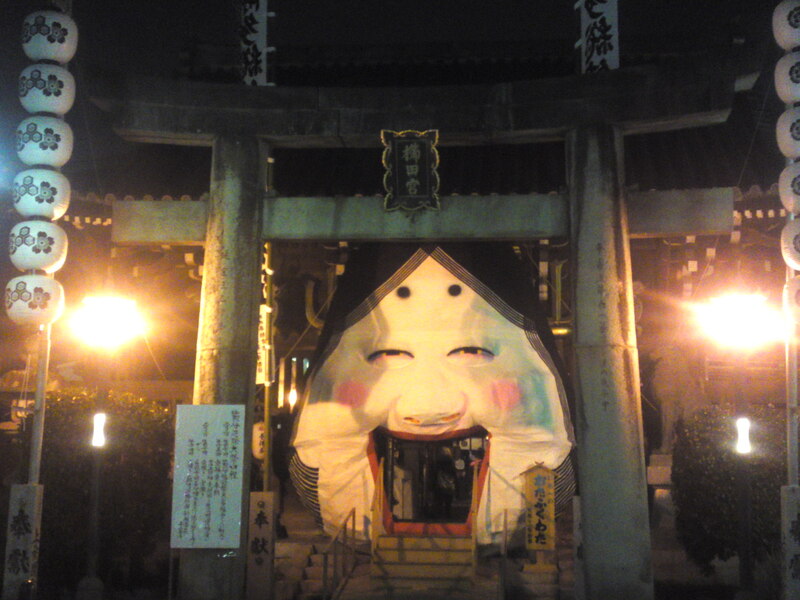 Its visit can enjoyed at all times of the year although the New Year and during the Hakata Gion Yamakasa Festival during the first two weeks of July are arguably the best periods of the year! 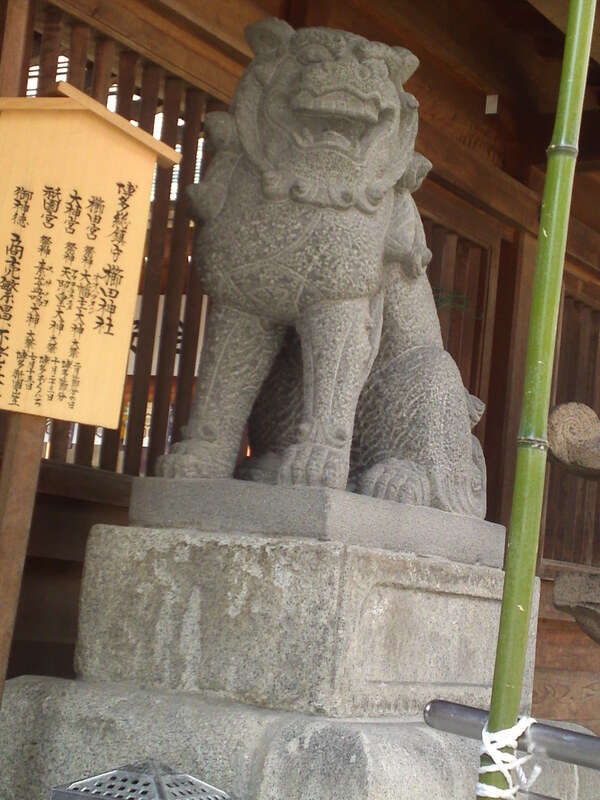 A horned lion guard, called “shishi or komainu” seems to ensure the safety of the donated Japanese sake kegs behind it! 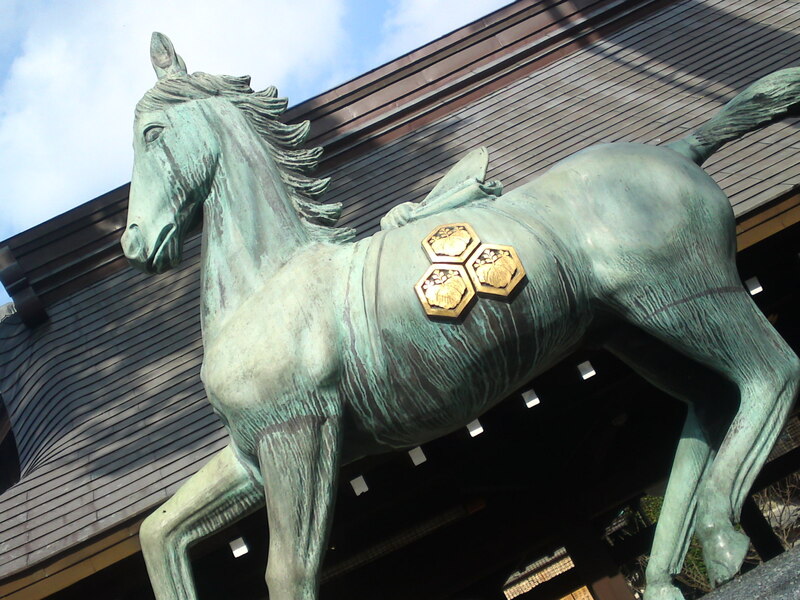 The whole visit makes for a truly great photographic experience of a typical Japanese Shinto Shrine, and I can assure you are bound for some surprises! just follow me for this first visit and I can guarantee you will wish to come back again and stroll around the place at your own pace! 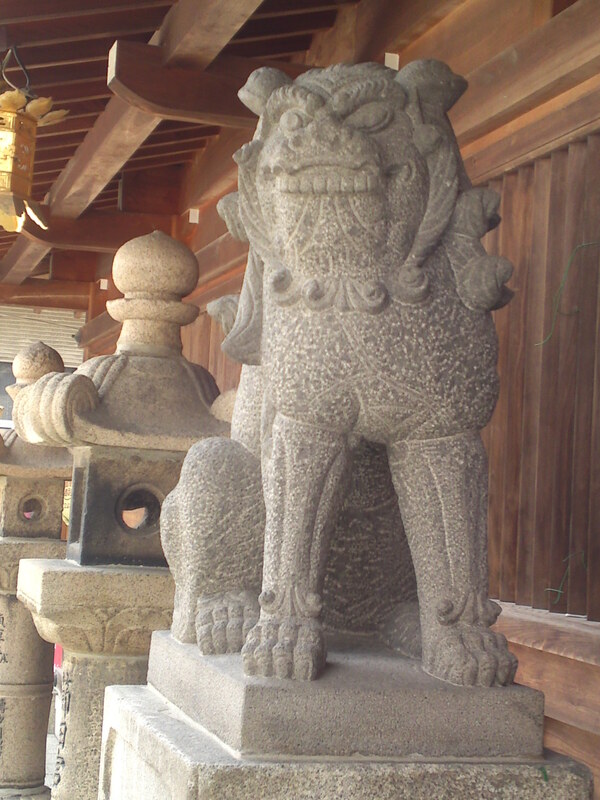 The other lion guard with its maw open also guarding the sake kegs! 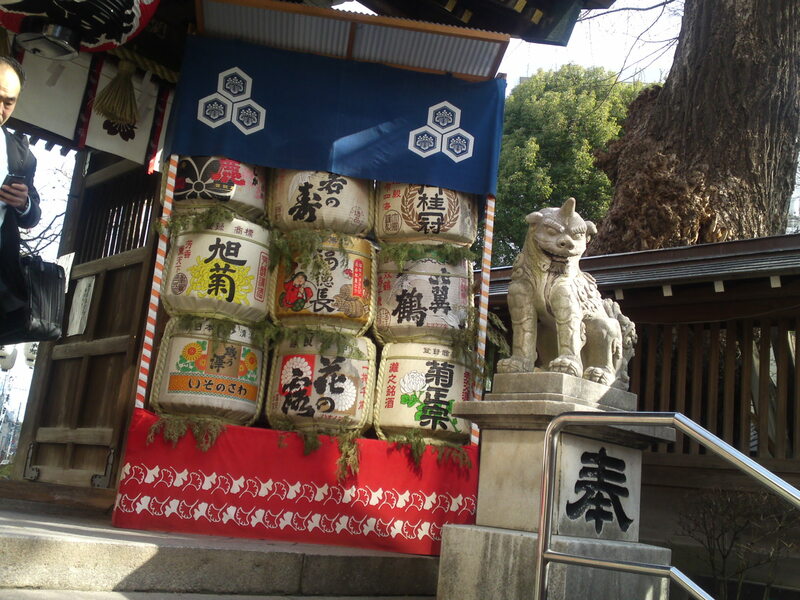 Sake kegs will be found at Shinto Shrines only and not at Buddhist Temples as sake is considered as the food of gods in Shintoism. 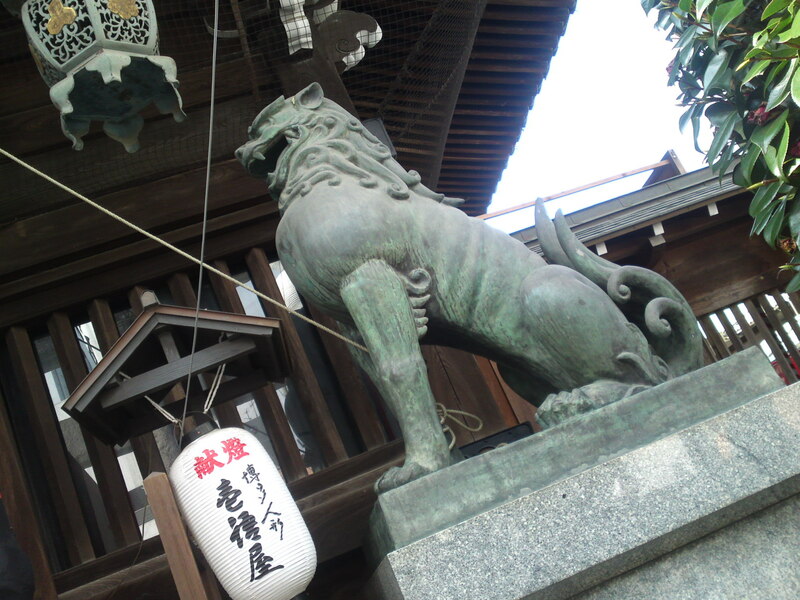 The whole shrine is actually a group of them erected at various times and their lion guards differ! The other with its maw open! 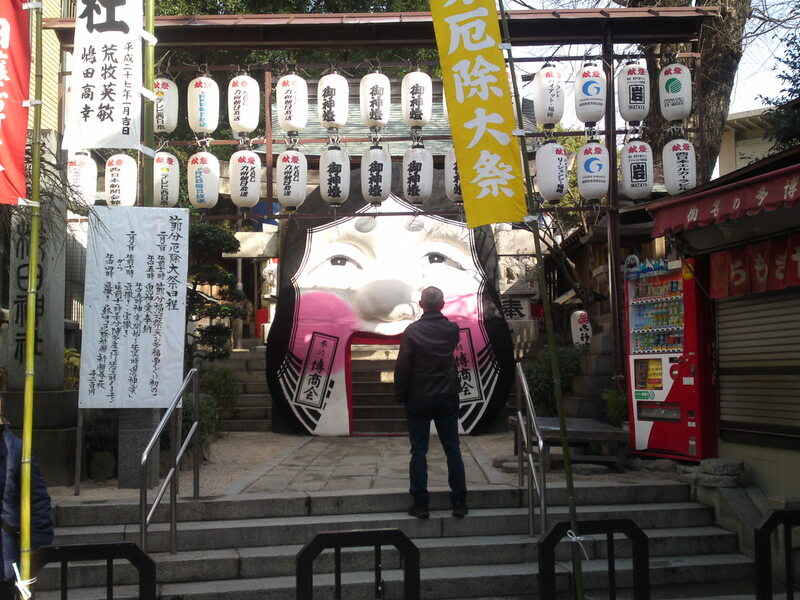 On the new Year visitors are requested to walk through the mouth of a giant Ameterasu Goddess under a torii/sacred bird gate! Placed at both entrances, but do not worry they won’t eat you! 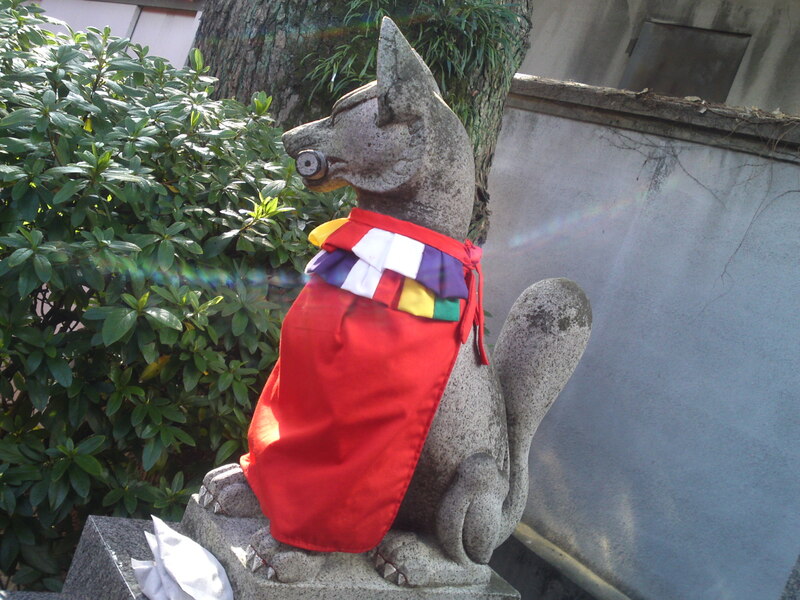 You will also meet fox guards/kitsune meaning that the shrine is dedicated to Inari, the Goddess of Plenty! 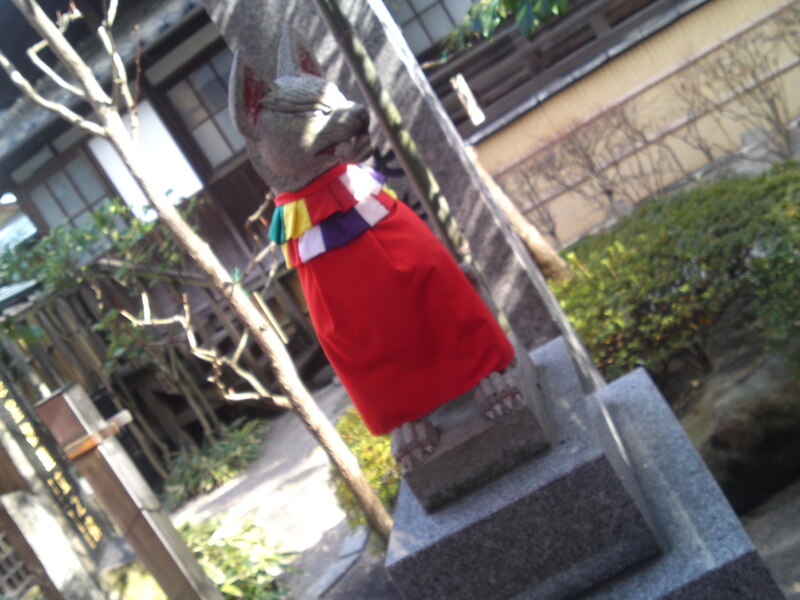 Its counterpart is carrying a sacred scroll inits mouth. 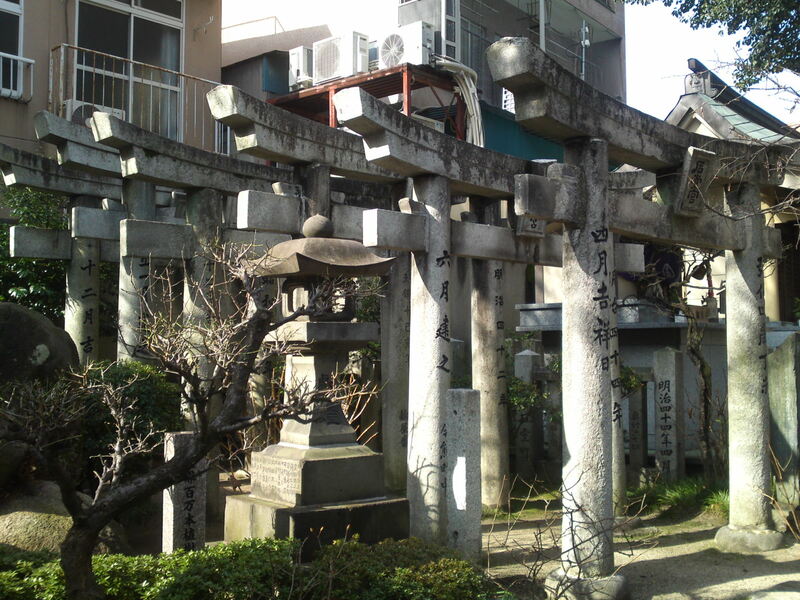 Torii/sacred bird gate can be fund in stone or red-painted wood, alone or in rows! 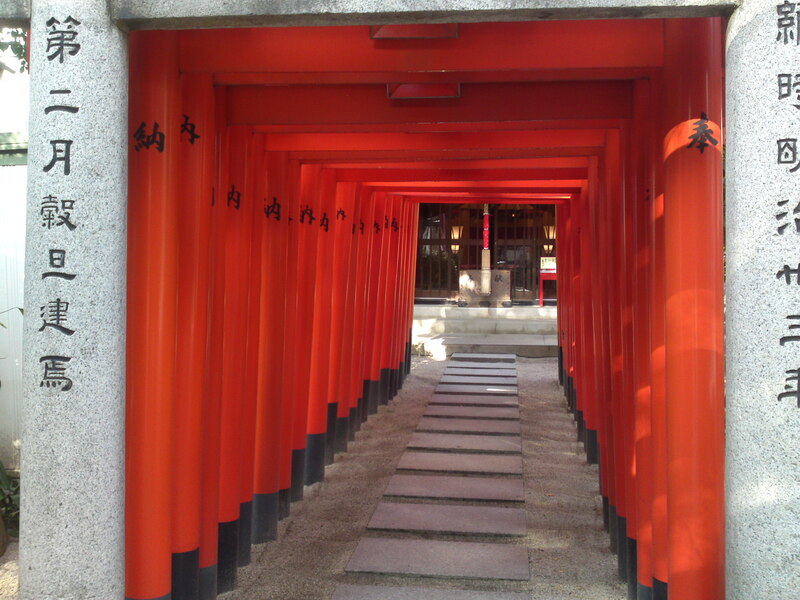 A whole mixture of torii! 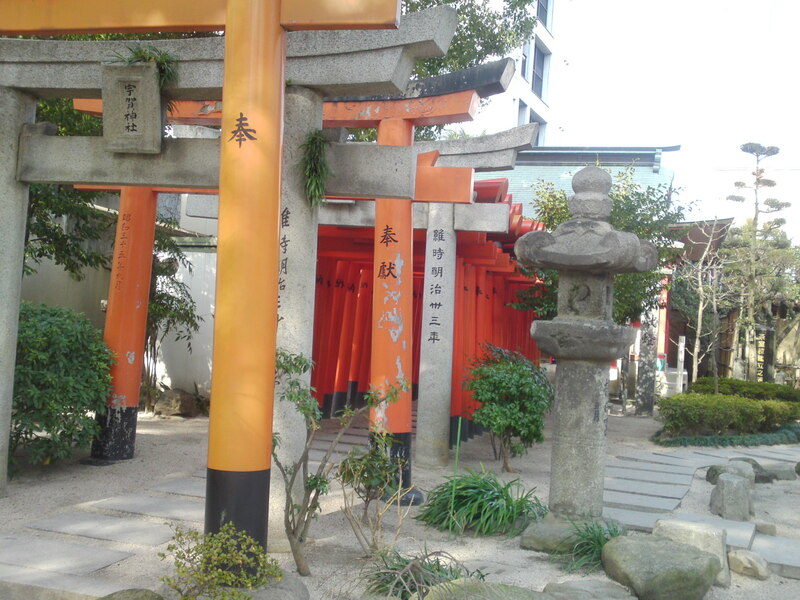 A small but highly venerated shrine at the very end of the torii tunnel! 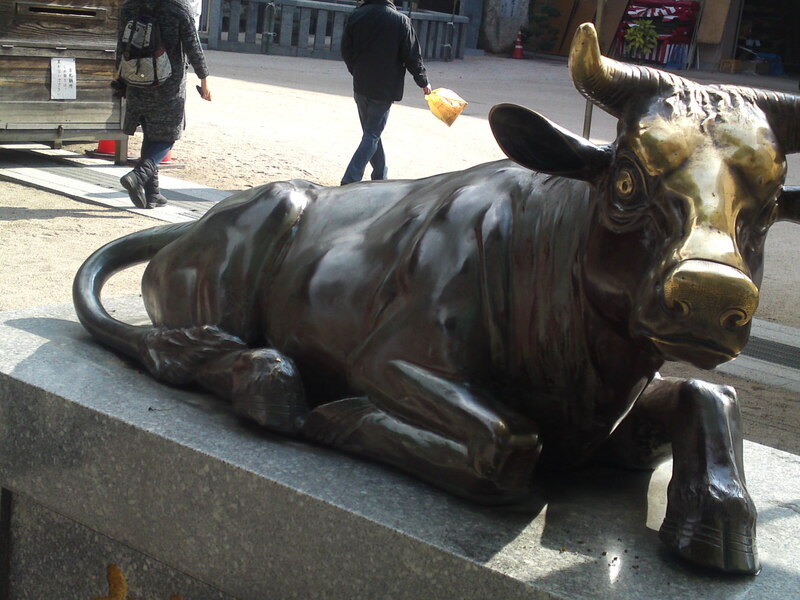 You will discover a whole menagerie as well such as this sacred bull! 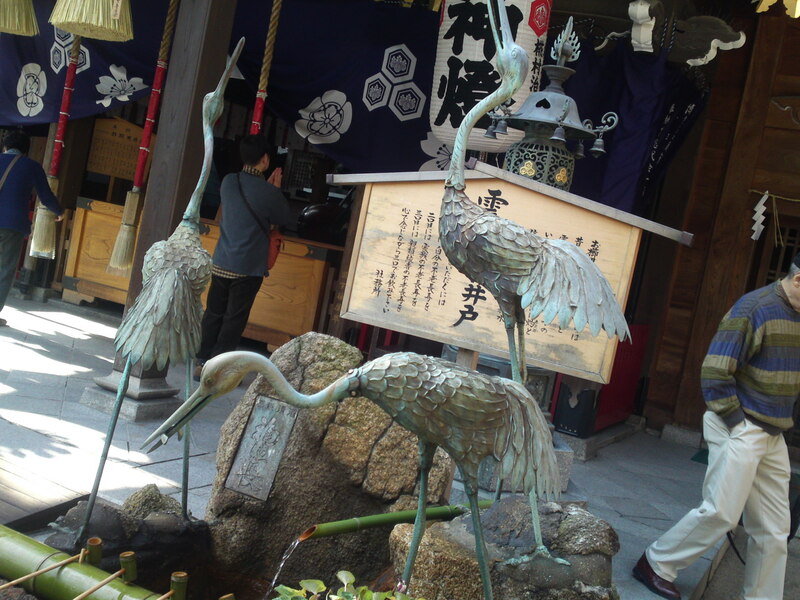 Sacred cranes guarding a natural salty hot spring! 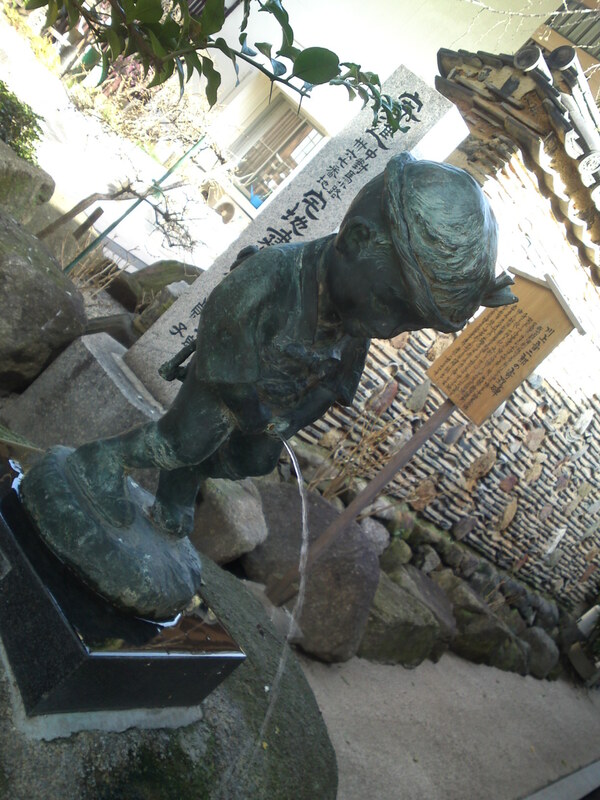 Belgians will be astounded to find a Japanese version of their Manneken Piss! 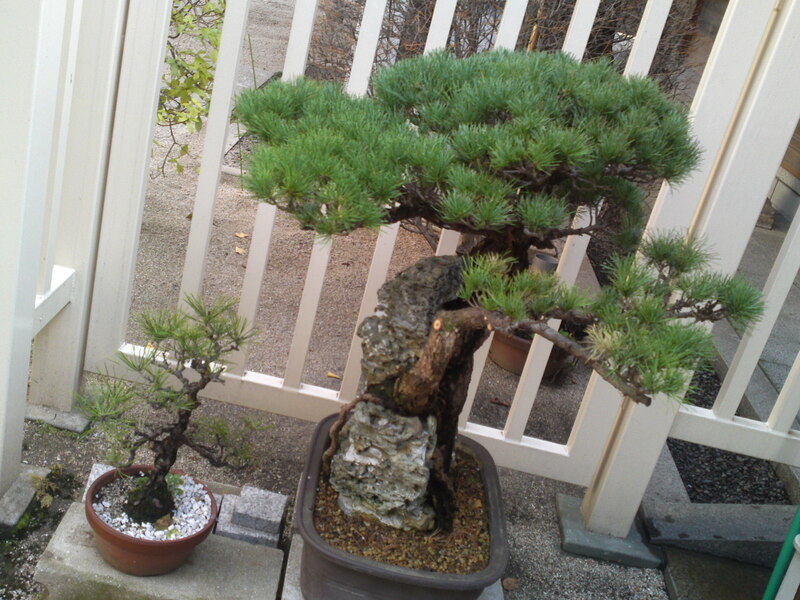 Keep a sharp eye for the bonsai/miniature trees! 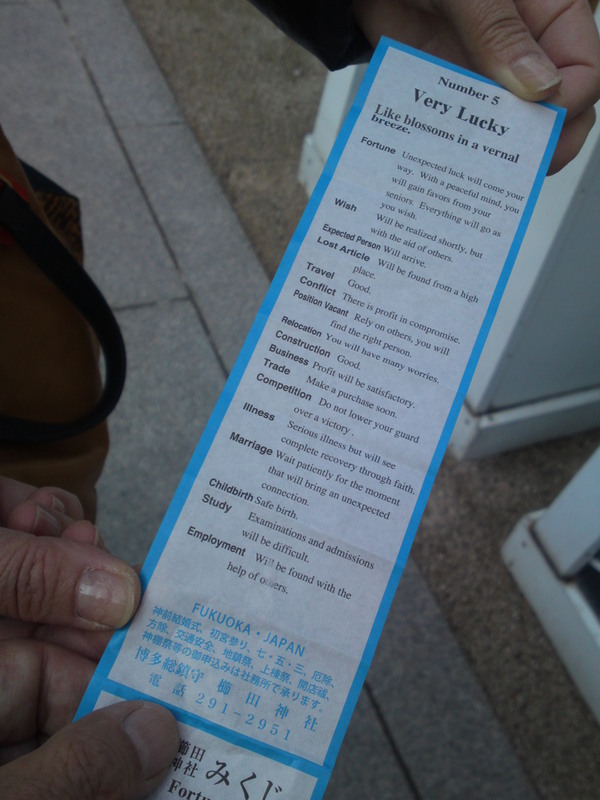 you cane even buy (for 50 yen) your own fortune-telling slip/o-mikuji in five different languages: Japanese, English, Korean, Taiwanese and Chinese! 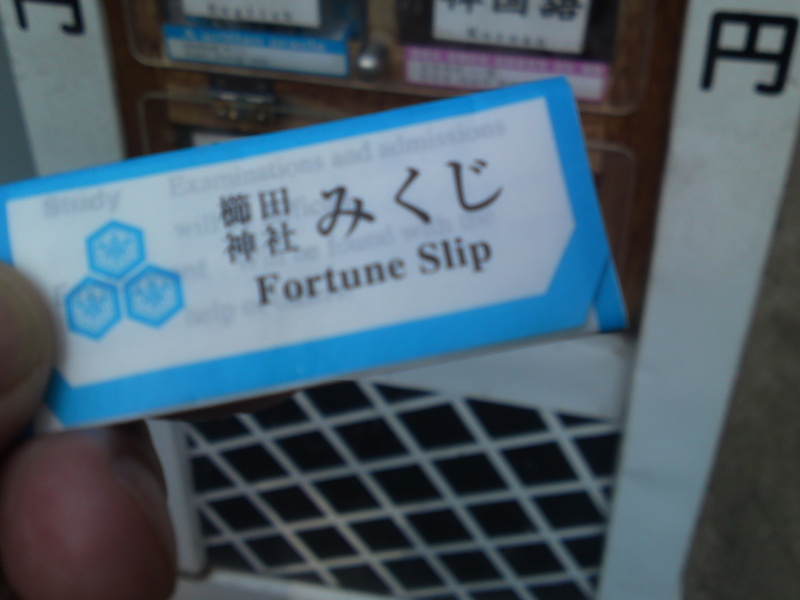 My fortune-telling slip in English! Now, what did it say? 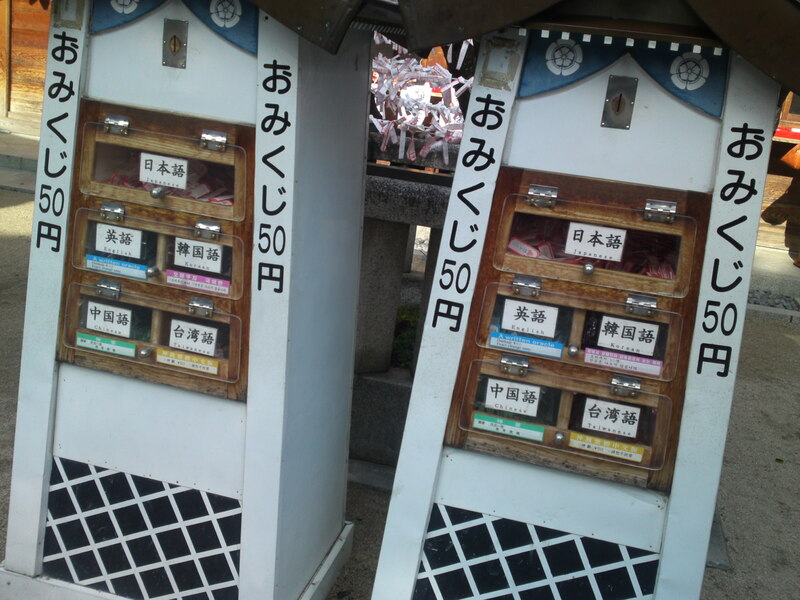 Between Hakata JR Station and Nakagawa River, near Gion Station. Previous PostHakata Gion Yamakasa Festival Giant Floats in Fukuoka City!Next PostVegan Bread at Tsuchikiri Bakery in Shizuoka City!